UNKETTLED is a nomadic tea house and recording studio; a gatherer of stories. 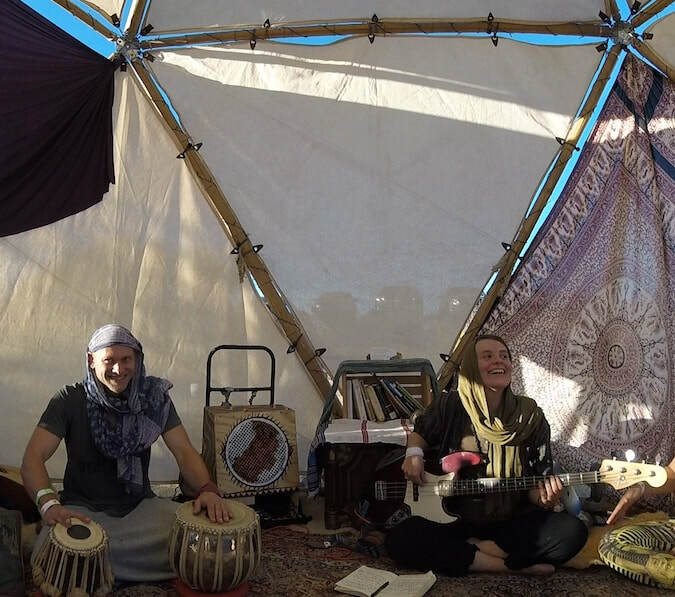 We travel the country offering a space for people to experience hand-grown medicinal herbs and mobile audio equipment. Our wayfaring node of music and tea aims to bring individuals together to record stories of their lives and work. Many who come together in our tea studio share powerful stories of personal healing, community struggle, and artistic endeavors. ​​But UNKETTLED doesn't stop once the journey is over--in our stationary periods, we compose original music using samples and themes from the stories that we collect on the road and collaborate with local artists to curate live performances of these finely-woven musical tales. We hope that by gathering and sharing these stories, we can help give voice to each other's journeys. ​Want to sit down, have a cup of tea, and and record a story with us? Want to include the UNKETTLED mobile tea studio in your installation, market, or festival? Curious about how to build your own travel-ready, battery-powered amplifier? Don't hesitate to get in touch!